Air Cooler RECHARGEABLE 8HR Back Up. RECHARGEABLE BATTERY AND REMOTE CONTROL SYSTEM OPERATE. ** Automatic Transmitting With 3 Mode Speed. 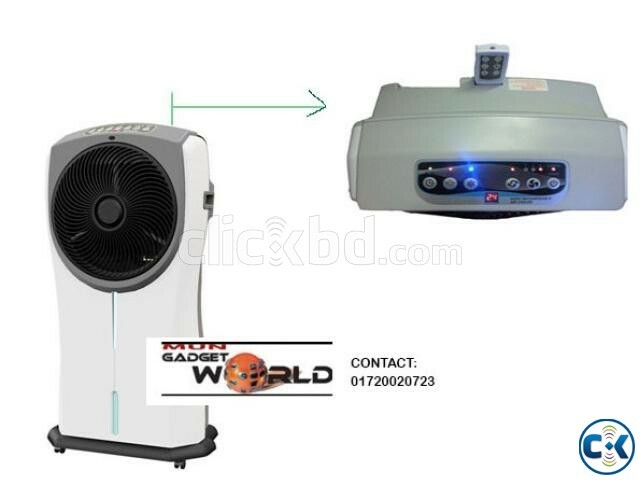 ** Cooling System with Powerful Machine. ** Air Freshner Cooling Mode AND Ionizer.